Spring has officially sprung, and these cloudless blue skies and the crisp air are definitely helping me wave goodbye to the thick cable-knits and oversized scarves of winter! 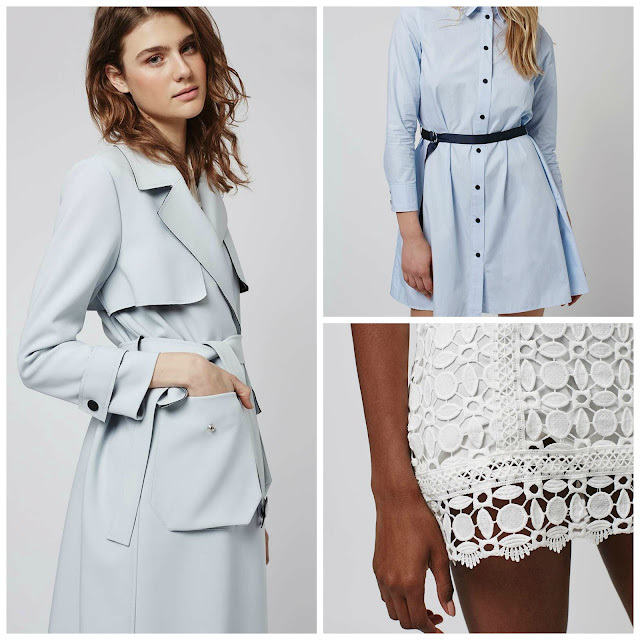 Say hello to sheer fabrics and lightweight shirt dresses, because we're getting blissfully close to no-tights weather here in the UK - someone remind me to de-fuzz and tan my legs, please! - and stores are full of the prettiest spring pieces. Usually when I take my lunchtime break from work I'll stick an episode of Friends on (along with the kettle, goes without saying) but recently I've been replacing my usual fix of Chandler Bing with an online browse - and as an avid 'save to wishlist' kinda girl, I thought I'd share some of those items with you in case you want to refresh your wardrobe but would rather watch The One Where Rachel Finds Out. I've got you! Have you ever seen more 'Meg' pieces? You might notice that there's a definite theme of light, neutral pastels and plenty of detailed pieces from blouses to high-waisted skirts, which is my style down to a tee. I'm so in love with everything, especially these Topshop NOLA Soft Knot Sandals that I can see going perfectly with this Ribbed Turtleneck tucked into the Guipure A-Line Lace Skirt. Out all day in that outfit (maybe with a Suedette Grey Biker Jacket on top) and then stripping off to get in these glorious ASOS Satin Piped Pyjamas when you arrive home? Um, excuse me whilst I get saving/break into my piggybank!